We have made a video based on our GRACE demo at ACM GROUP’18– exploring experiences, challenges, and opportunities for participation in Computer Science. Enjoy! We are just back from presenting GRACE at GROUP 2018 in Sanibel Island (Florida)! 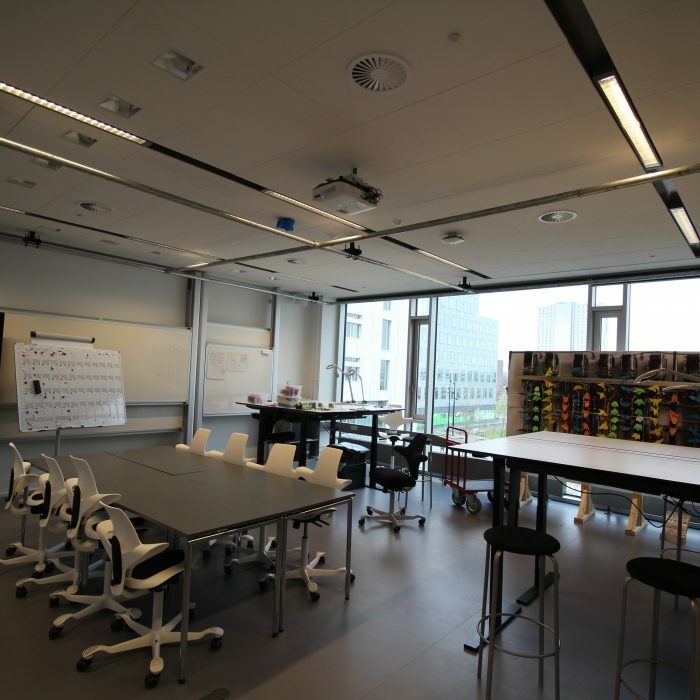 GROUP is a premier venue for research on work in social science, computer science, engineering, and design. 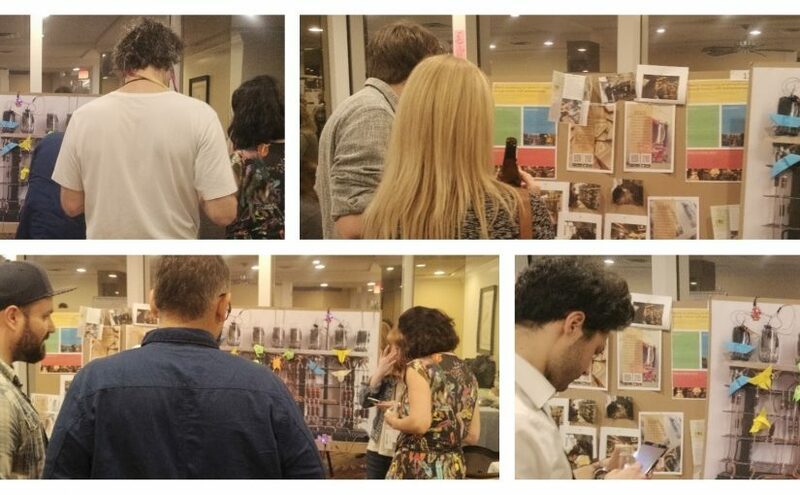 This year GRACE was accepted as an interactive installation at the conference. The accompanying paper is included in the conference proceedings, check our paper at the ACM Digital Library. At the conference, the participants created origami bugs where they wrote their opinions on opportunities and challenges for facilitating inclusion in computer science. Then, they interacted with GRACE using their mobile phones and discussing with other participants. Stay tuned for an upcoming video showing participants’ opinions! In December, we have been in Trento (Italy) to present some of the activities and events organised as part of FemTech.dk at the 2nd Winter School on Education as a Common Good. 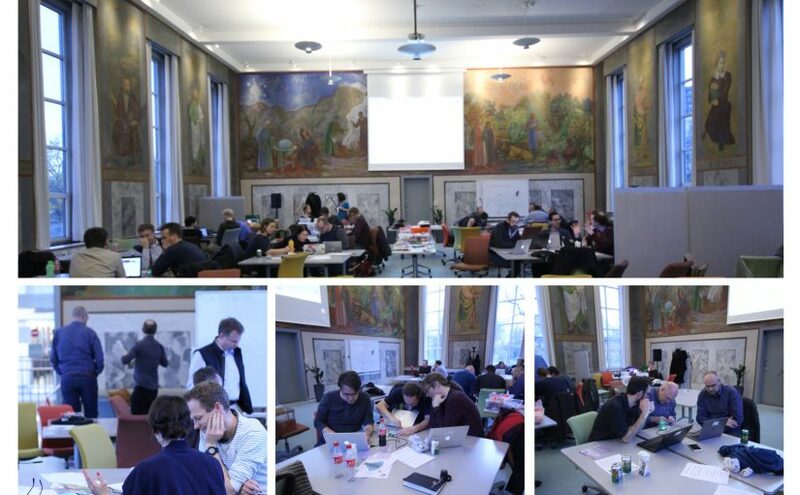 This winter school was co-organised by the universities of Trento, Bolzano and Innsbruck brought architecture, design and HCI students together. 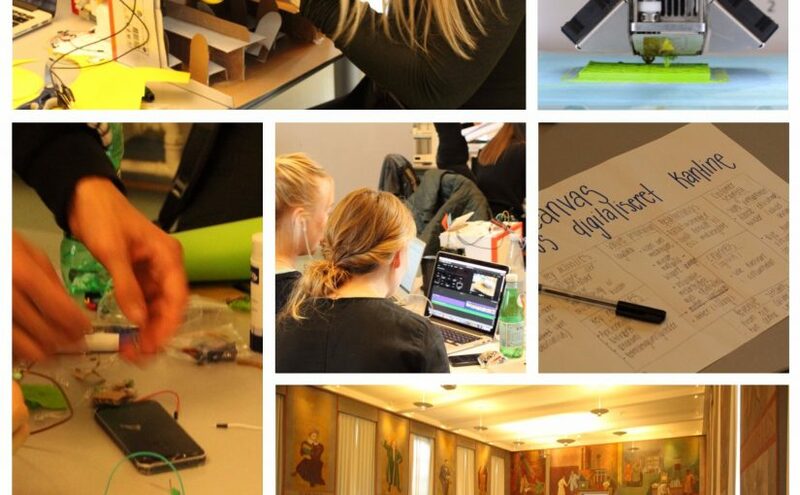 For three days, the students worked on projects seeking to design educational commons. 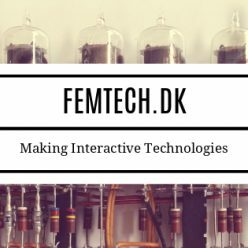 The activities and insights that we are developing as part of FemTech.dk served as a source of inspiration to the students. On the 24th of November, DIKU organized a teaching day in which faculty members learned and discussed teaching methods and tools. 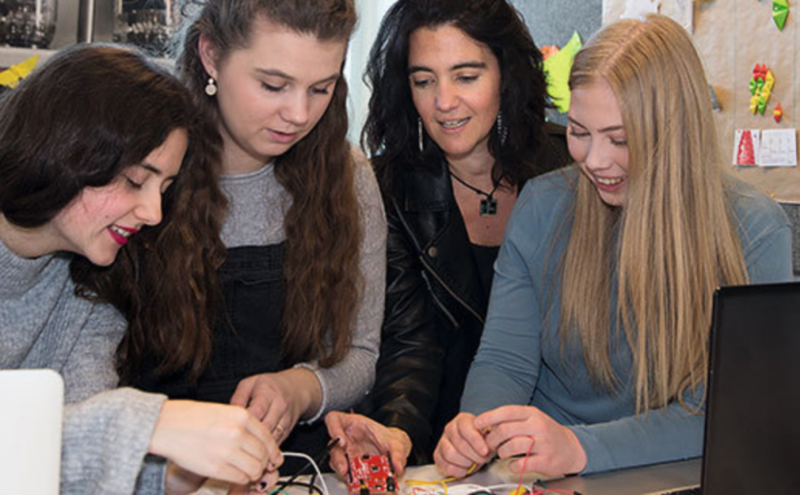 As part of this event, this year – and for the first time – Prof. Pernille Bjørn and Post-doc Maria Menendez-Blanco organised a hands-on workshop to explore the potential of microcontrollers in teaching computer science. This was done through a practical activity around a proposed topic: “microcontrollers and sorting algorithms”. 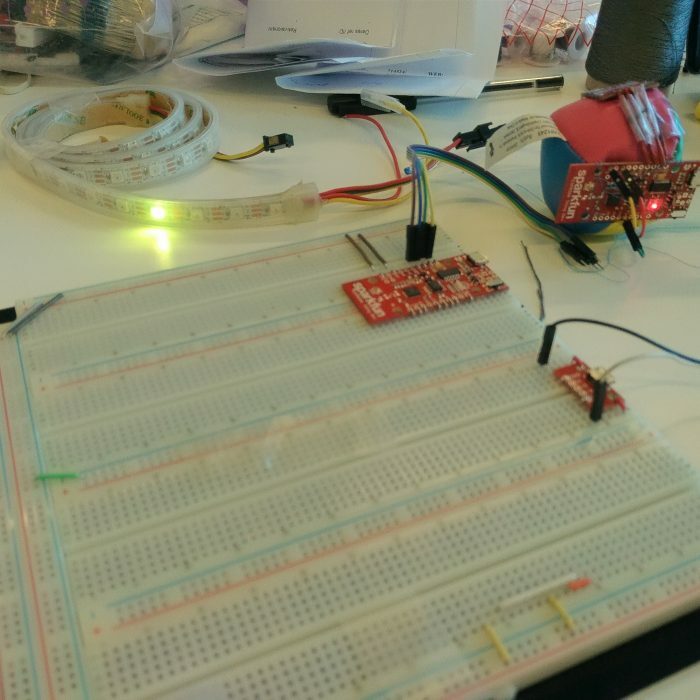 Specifically, faculty members worked in groups of 3-4 people to visualize – and interact with – a sorting algorithm using microcontrollers, buttons, and actuators – and it was a lot of fun! From the 9th to the 13th of September 2017, DIKU organised the second edition of the MakerWeek for Communication and IT Master students. 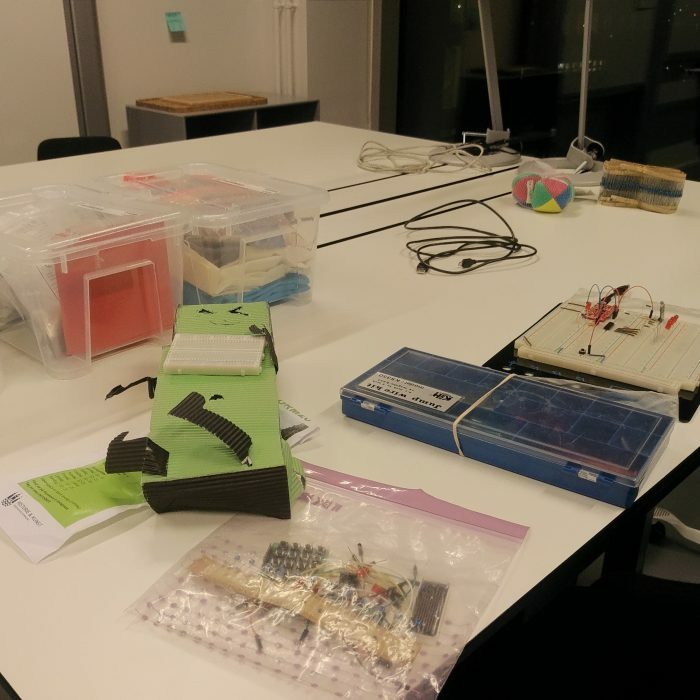 The MakerWeek was hosted by KUB Nord and took place in their amazing Infosal. 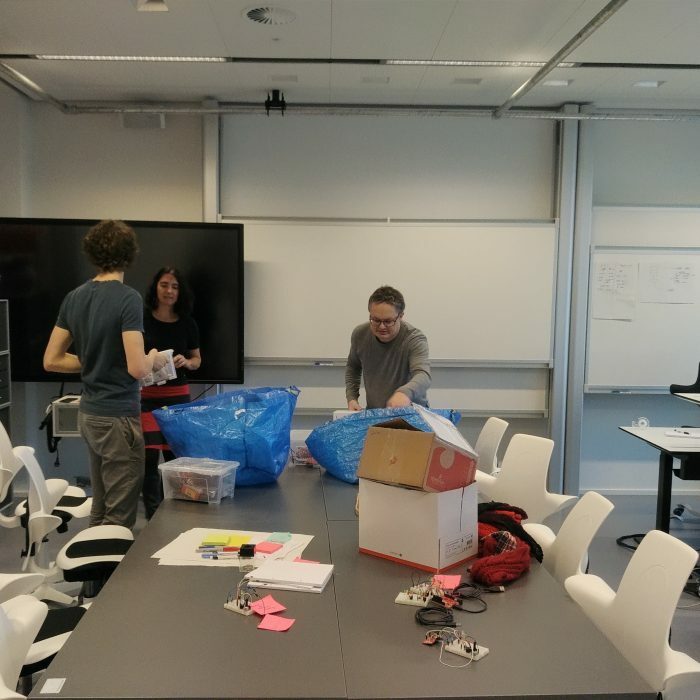 In the weeks before the MakerWeek, the students had been working in collaboration with different companies, such as Politiken, ISS World and Falck. These companies have identified a problem and the students are helping them addressing them through concept development and innovation methods. The goal of this week is to develop concepts and represent possible solutions – or different ways to think about the problem- through physical prototypes. 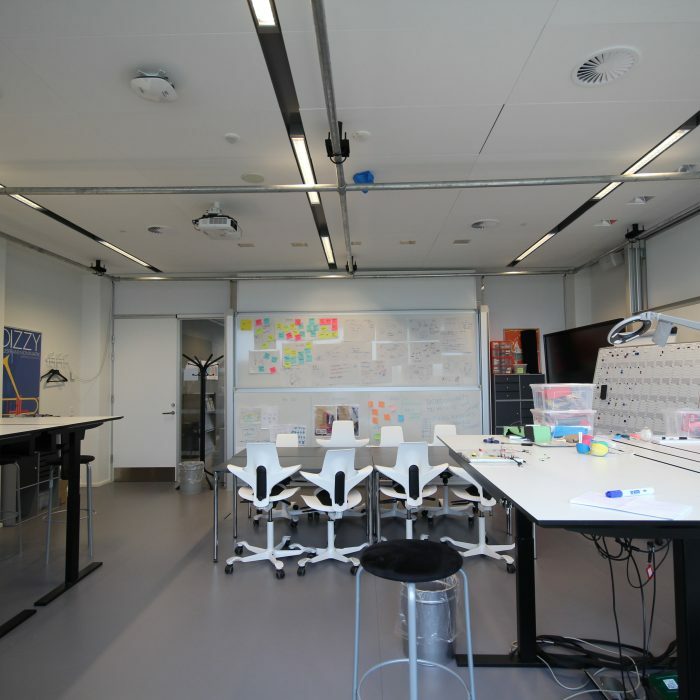 To this end, we have developed a method that brings the students through a five-day prototyping journey. In concrete, during the first two days, students learn how to 3D print (and how to create 3D models) and how to work with microcontrollers (and connect them to actuators and sensors). 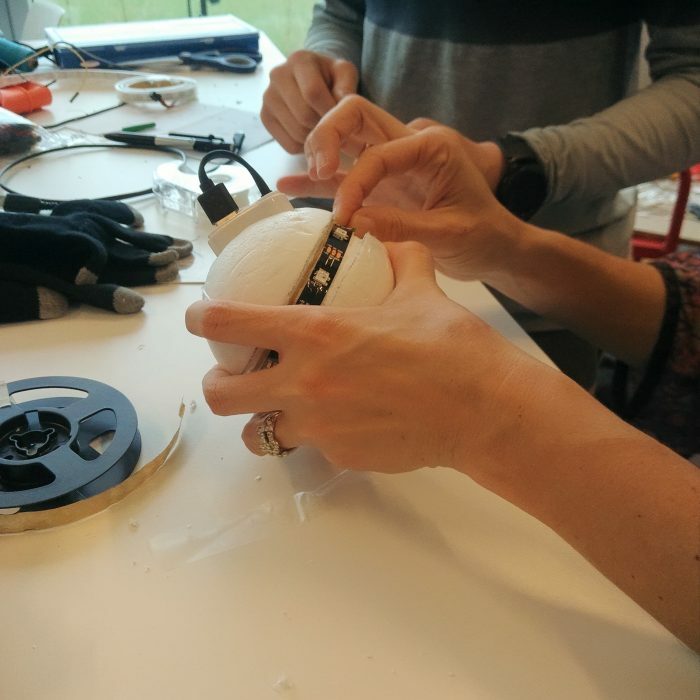 On the third day, they develop prototypes as exploratory devices through critical design approaches. 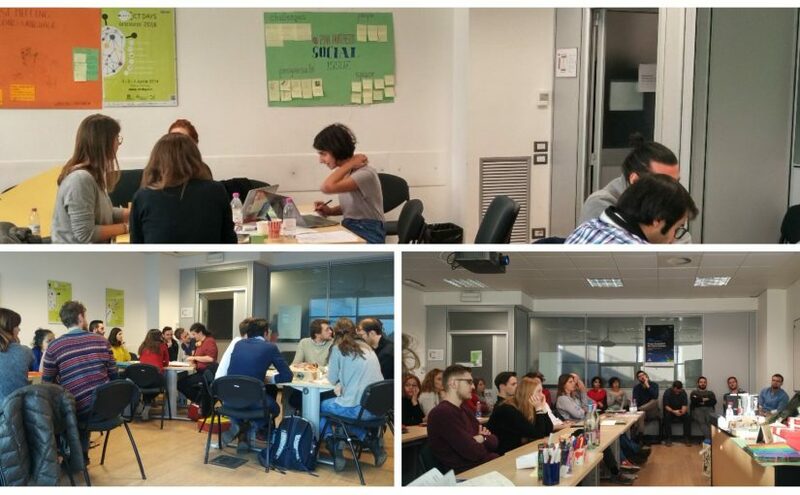 The following day focuses on prototypes as minimum viable products, exploring prototypes from a business perspective. Finally, on the last day students explore prototypes as communication devices and create a video that summarises their concepts. During this week, students learn how to use the tools (e.g. microcontrollers, 3D printers) and, most importantly, how to leverage this knowledge to develop innovative concepts. This was the second time that DIKU organises the MakerWeek and it has been a great success. 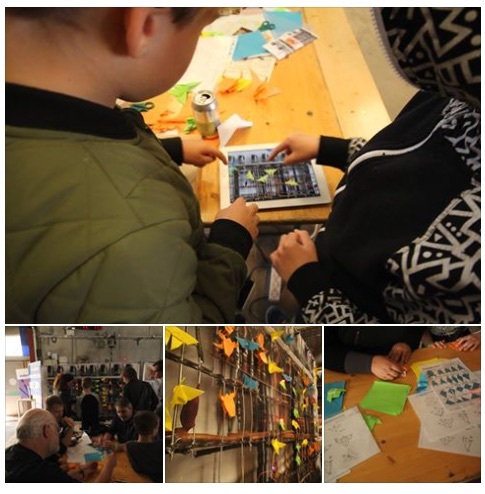 For pictures and more information about this and last year’s MakerWeek, visit the UCPH MakerSpace FB page. We look forward to the 2018’s edition! In the meantime, stay tuned for more FemTech.dk activities on opening perspectives in computing. 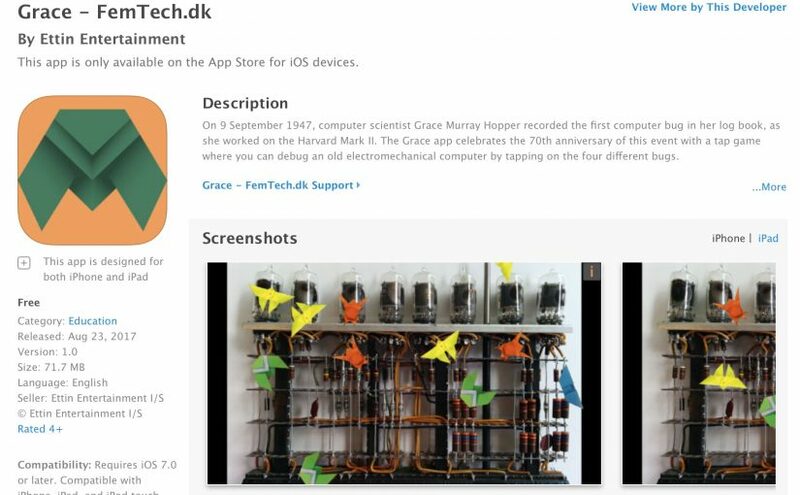 The Grace installation is an Internet-of-Thing (IoT), which can be controlled by the Grace Femtech.dk app, which is available for iPhone and Android – free to download. When you play the game (squishing origami bugs in the old IBM computer), each tap on the screen will be registred in the FemTech.dk database, which then will make the GRACE installation move. Even if you are not in close proximity to the GRACE installation it still moves. The GRACE installation is currently located at KUA3 . We enjoyed three very full days at Copenhagen Makers 2017 in Carlsberg Byen – and here is a small video clip from the beginning of the first day, where you can get an idea of the space. The Grace installation is in the beginning and in the end of the clip. GRACE is an interactive Origami installation and App, created by FemTech.dk, which celebrate the 70th anniversary since the first bug was found in a computer by famous female computer scientist Grace Murray Hopper. 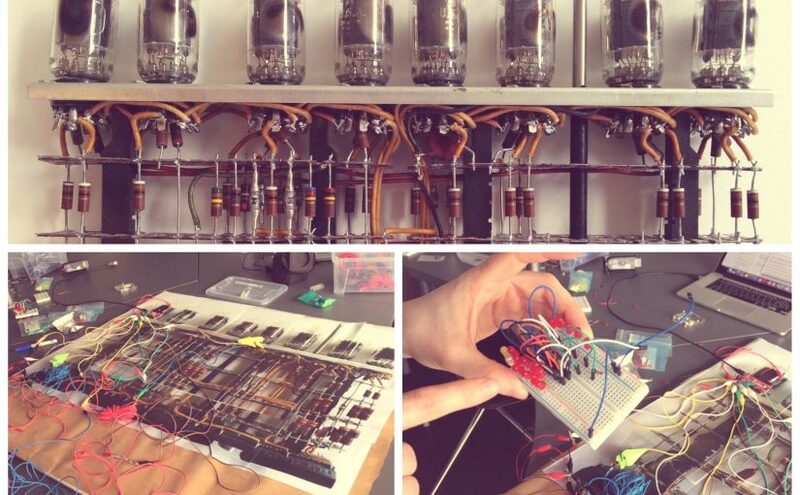 GRACE combines history with making and technology as a way to reach and engage heterogeneous groups of people in technology design and will be introduced to the public at Copenhagen Makers Faire 2017.Concretely, the GRACE installation is a 120*240 cm representation of an old electromechanical computer with vacuum tubes. Participants then create and add physical origami bugs to the electromechanical computer, by attaching these to micro-controllers which can go online. 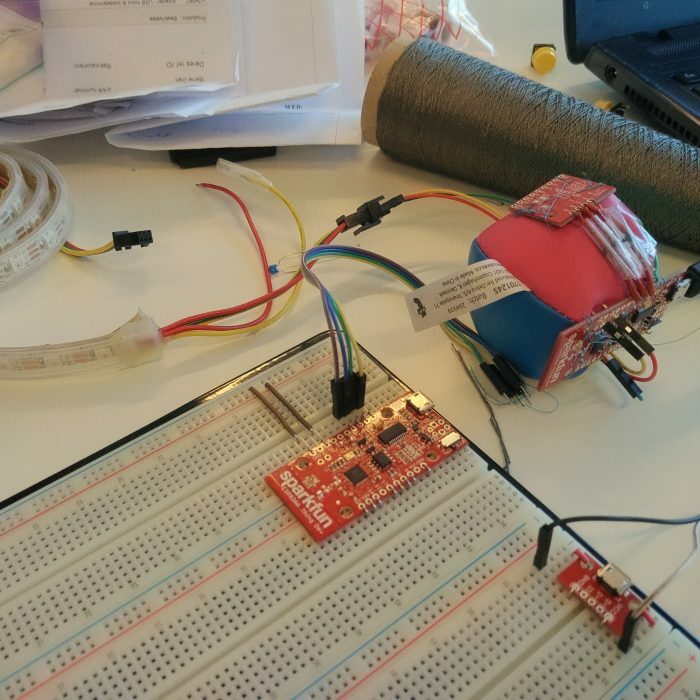 The micro-controllers can then turn-on/off different types of actuators (servo motors and LEDs), by participants playing an online mobile game, which they download on their smart devices.